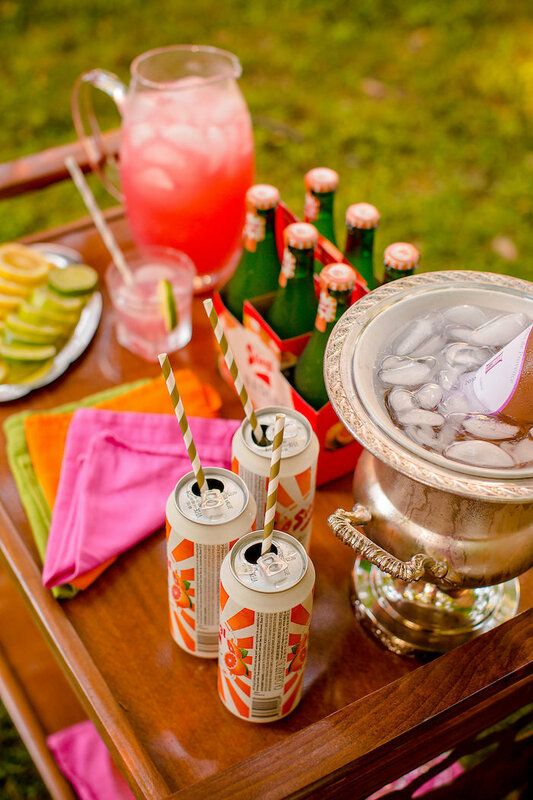 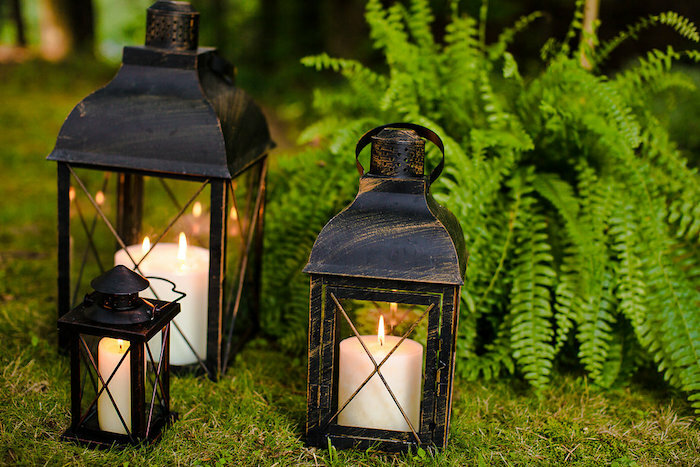 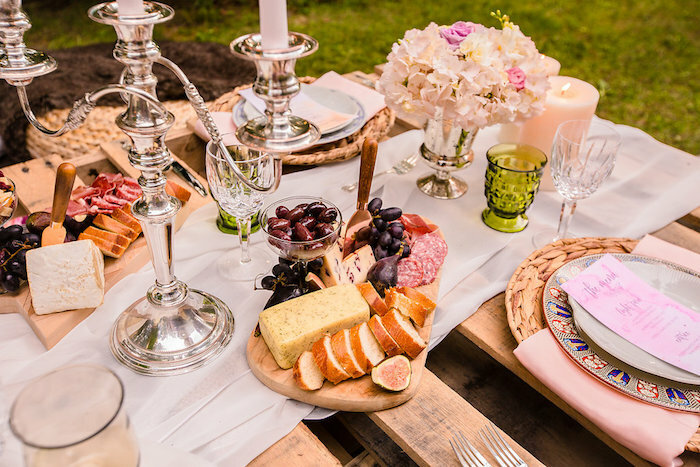 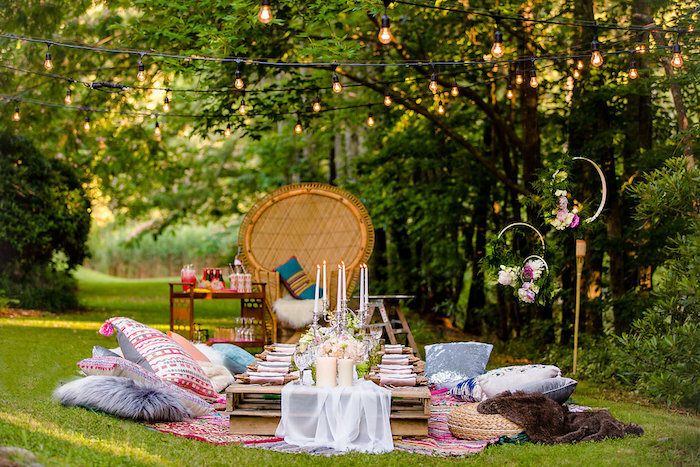 Been dreaming of beautiful soirees to end your summer days? 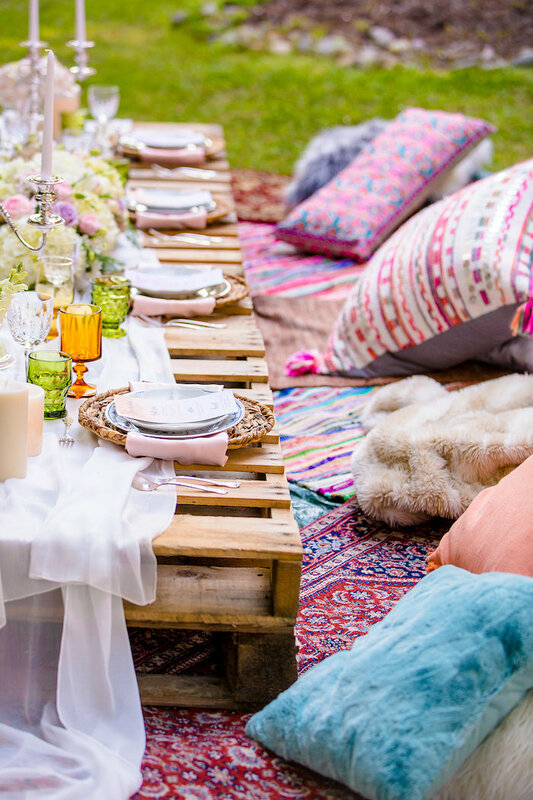 If so this dreamy event will have you in a craze! 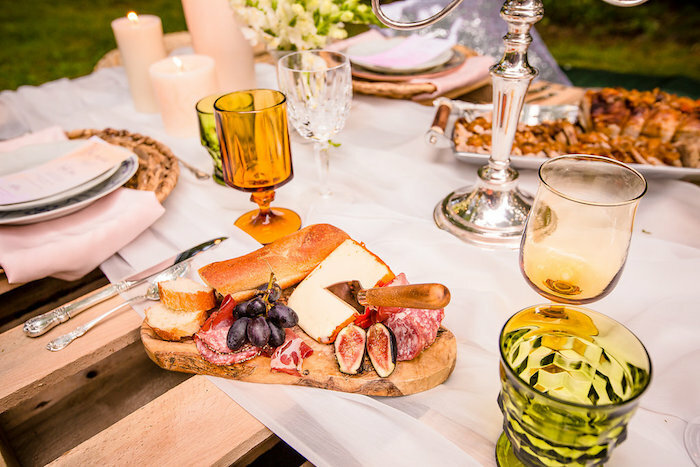 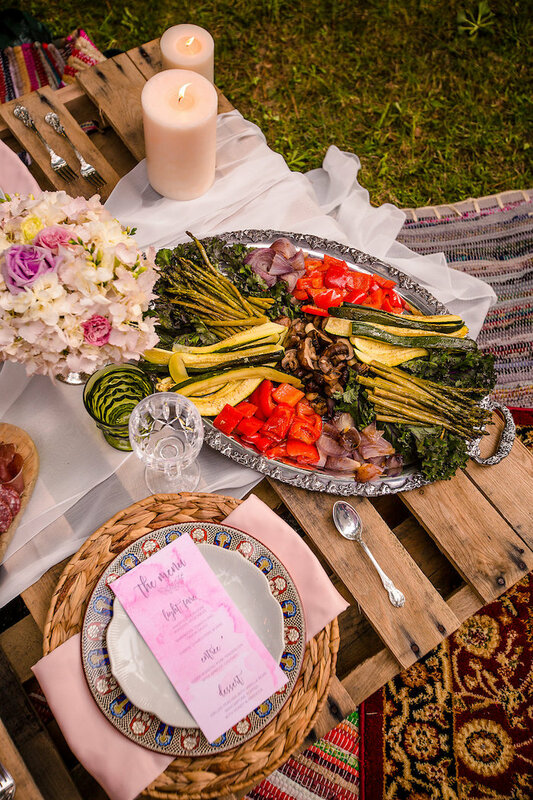 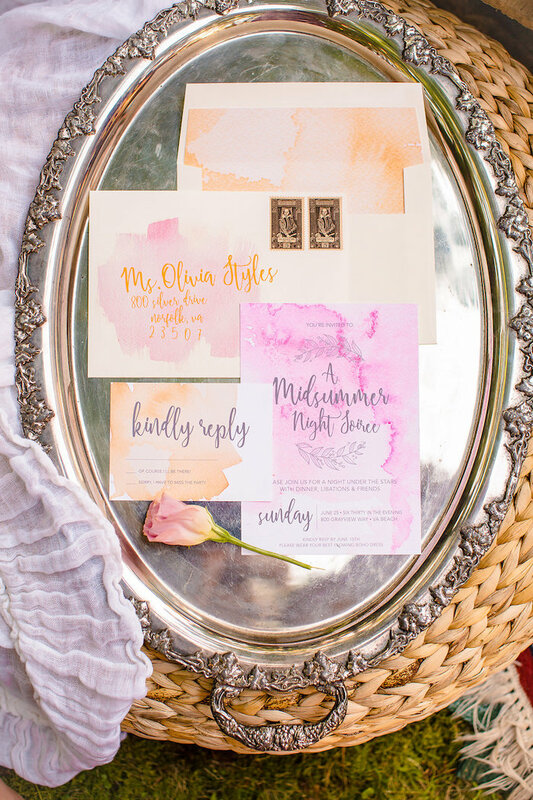 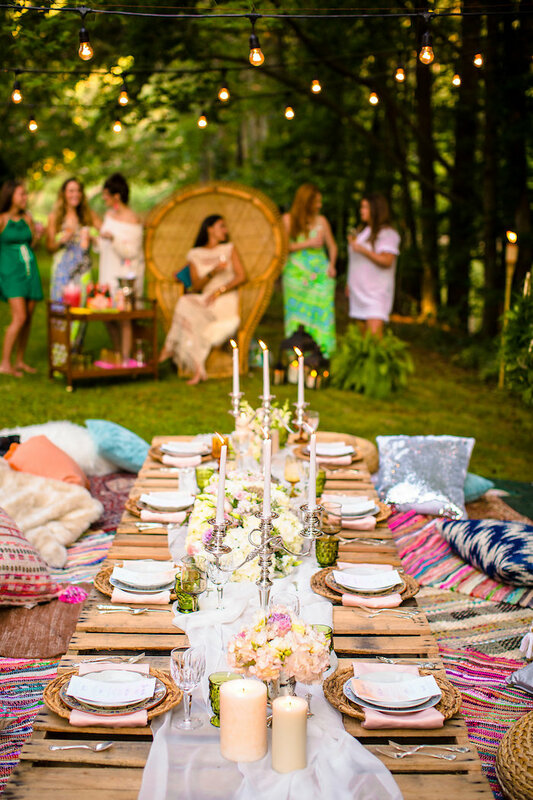 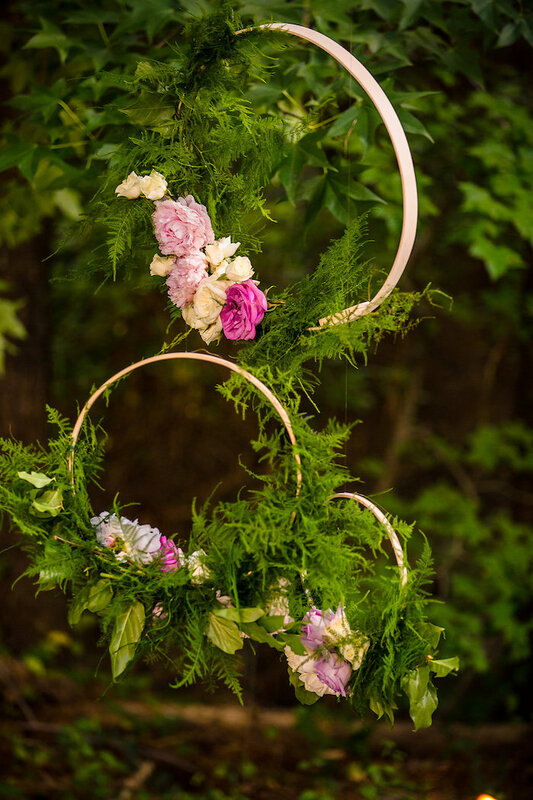 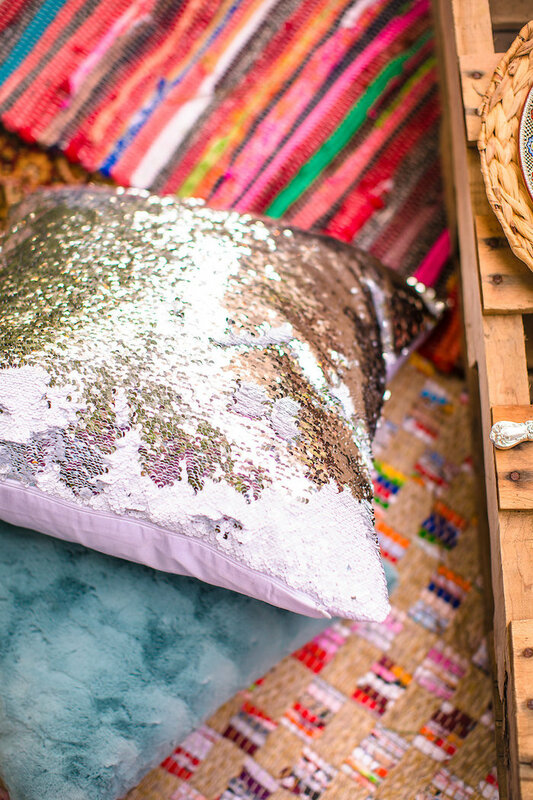 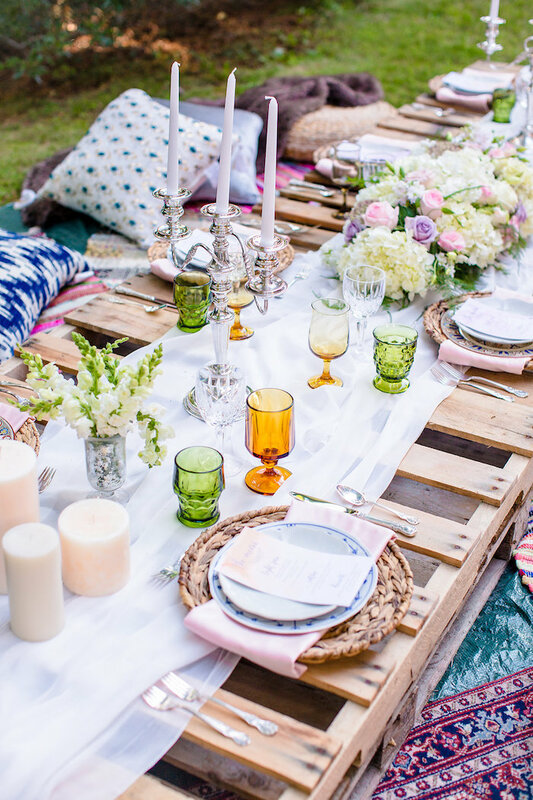 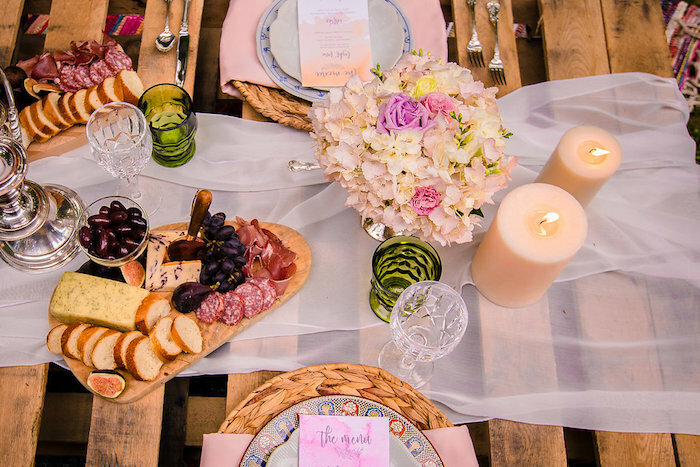 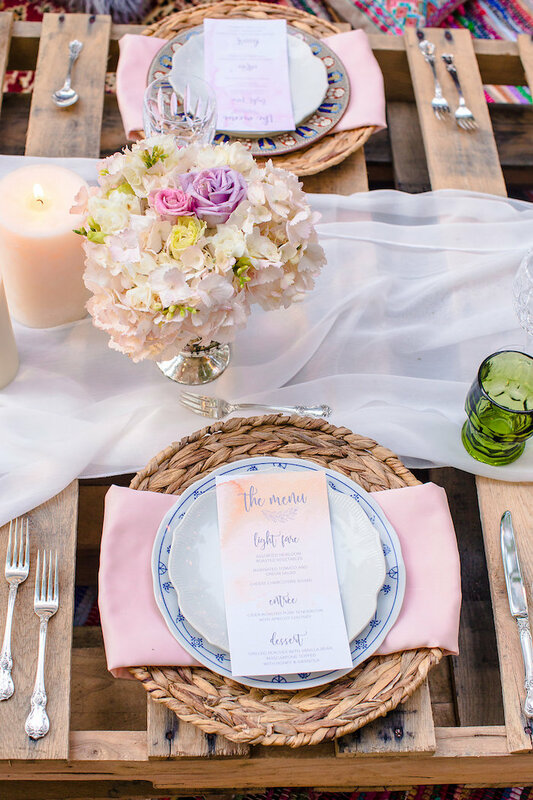 Filled with boho and lots of shine, this Boho Midsummer Nights Soiree, by Kristin Rapisardi of Lustre Theory, out of Virginia Beach, VA, is truly thine! 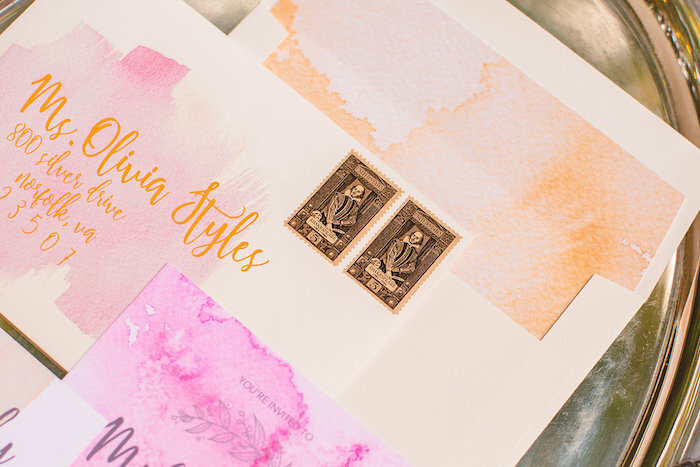 And watercolor invites featuring William Shakespeare postage! 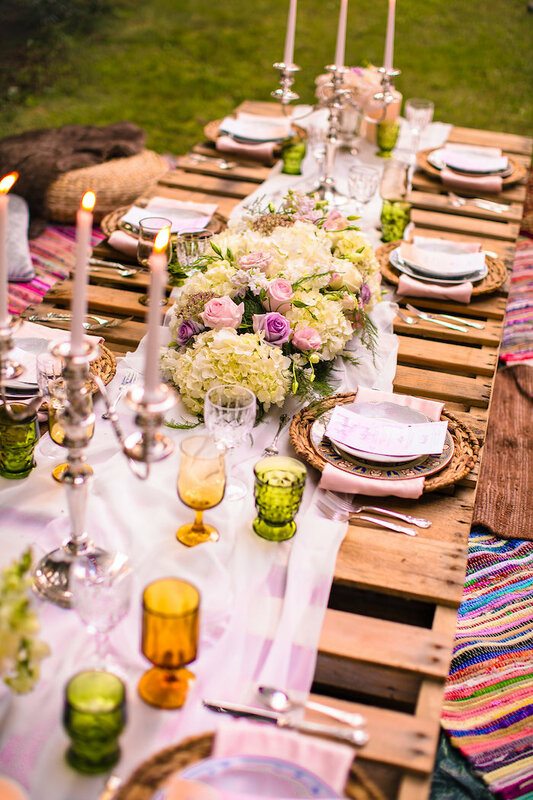 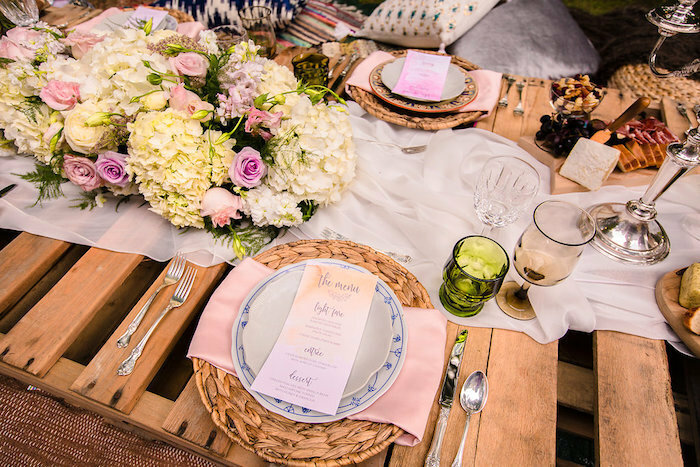 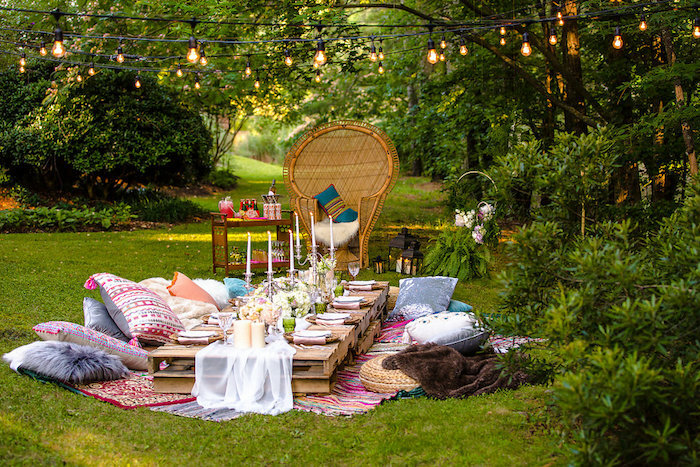 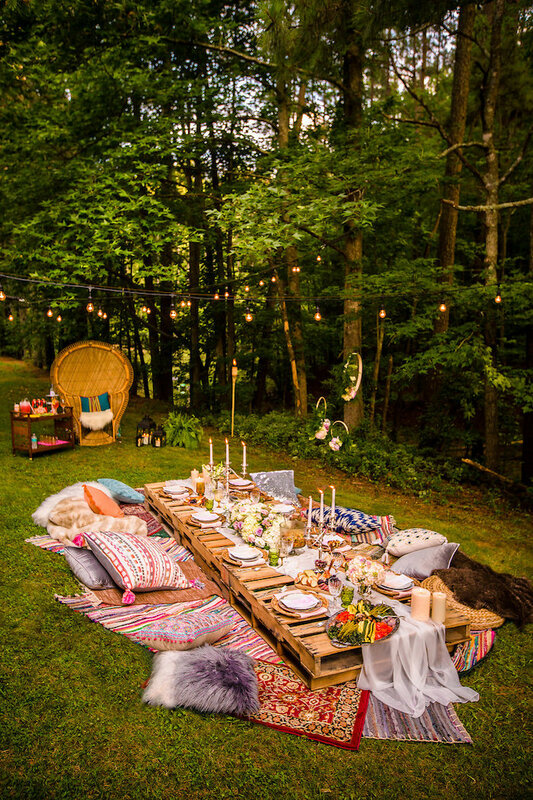 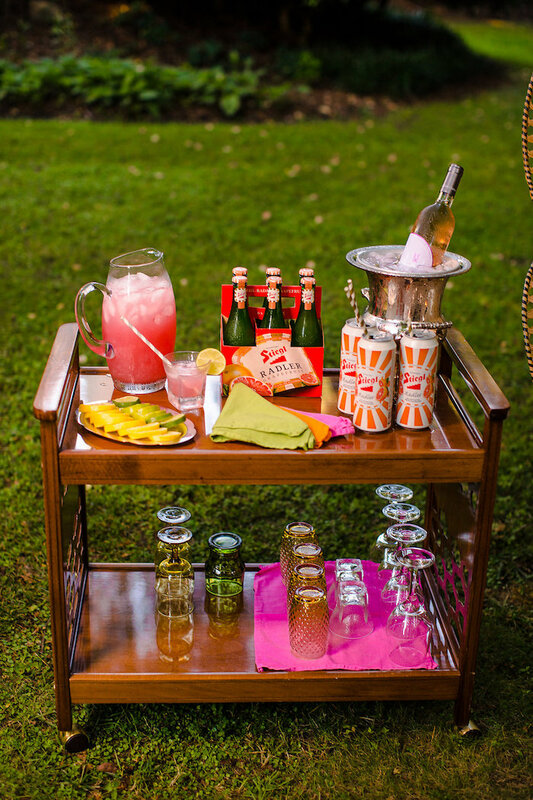 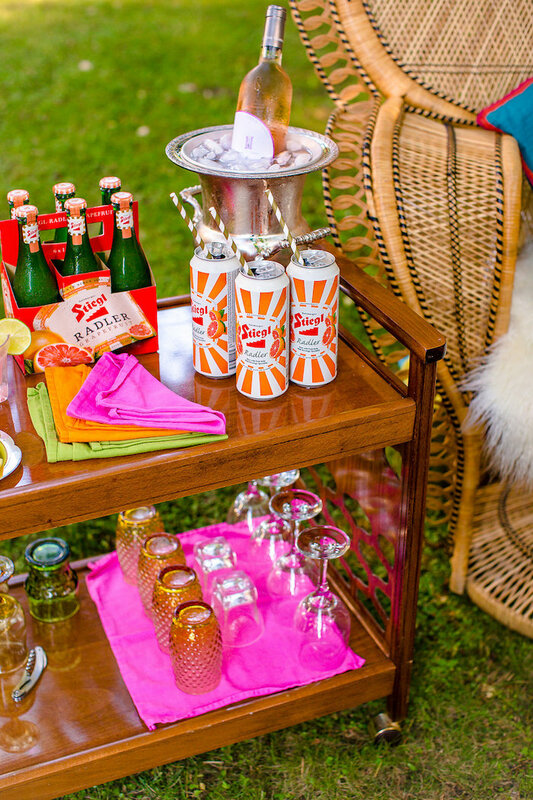 This is what Kristin shared about the party- “I’m very excited to share this Midsummer Night’s Soiree with a low seated bohemian style table I put together earlier this summer. 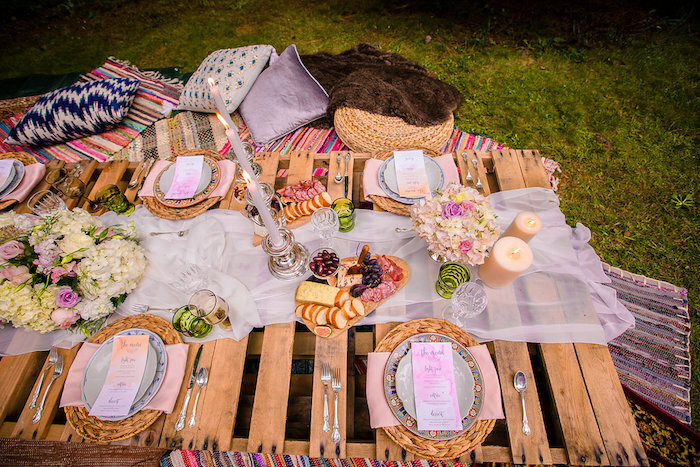 It was a full dinner party that went into the evening. 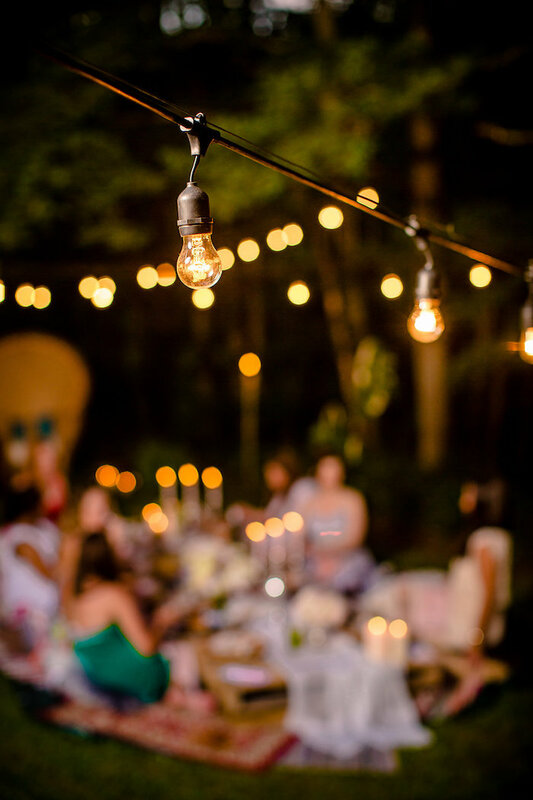 I love how the photos show that progression of the early evening into the night. 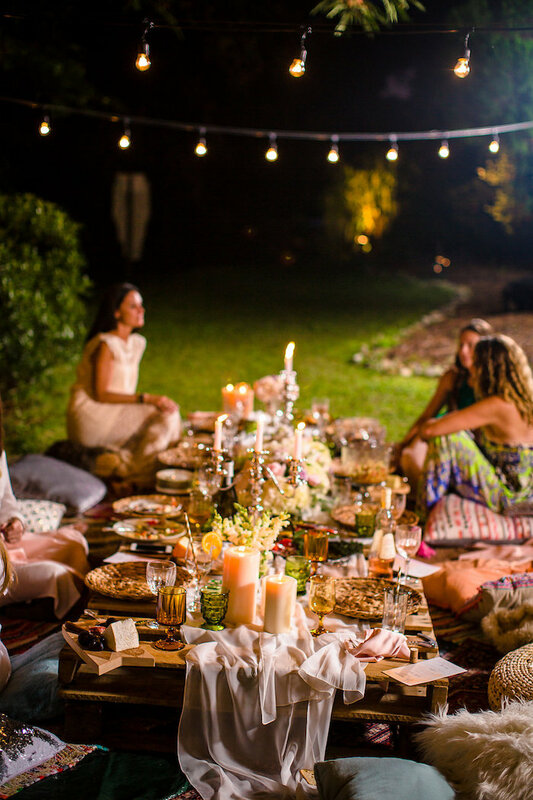 You can get a full feeling of how the event went and follow the timeline. 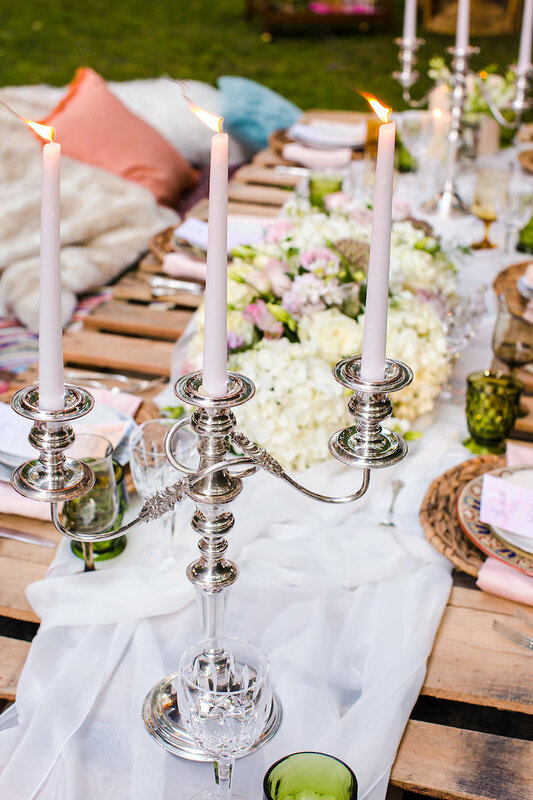 The controlled randomness and imperfect nature of the decor were part of what made this dinner party and styling job so fun. 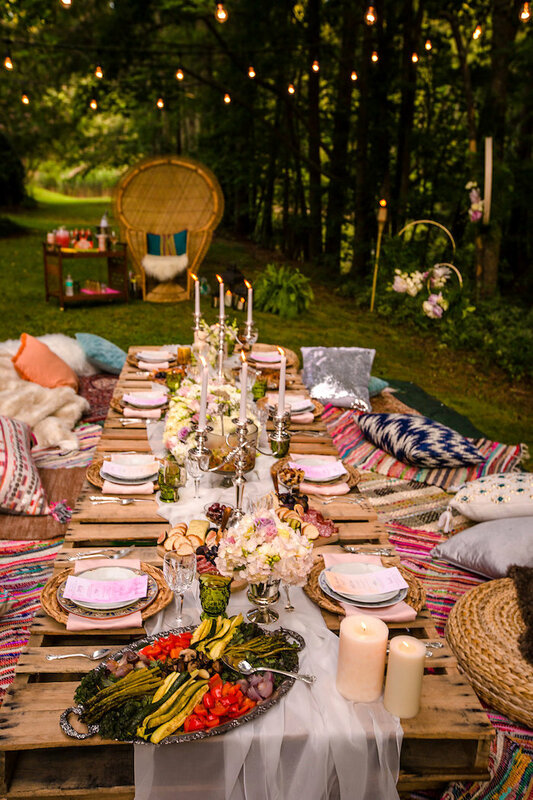 Mismatched rugs, pillows, and blankets along with woven rattan chargers and seating accents started the mood. 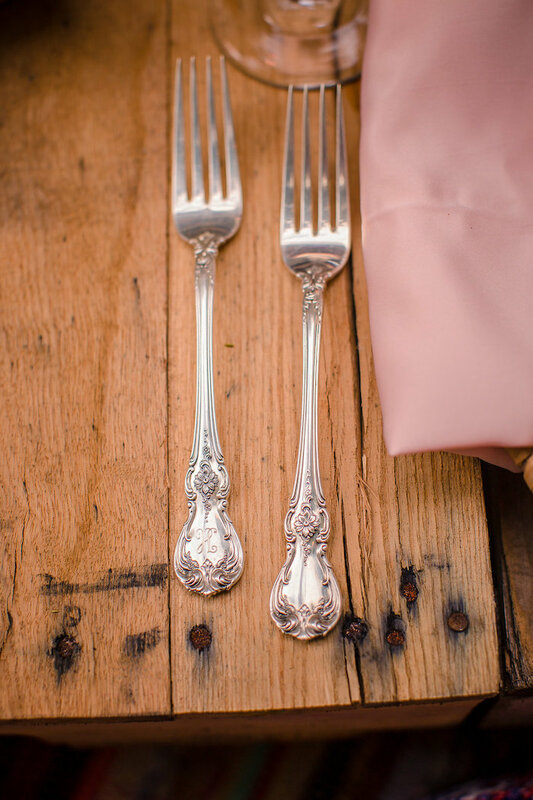 Perfectly paired with fine antique Wedgwood China, silver candelabras, and Waterford Crystal glasses. 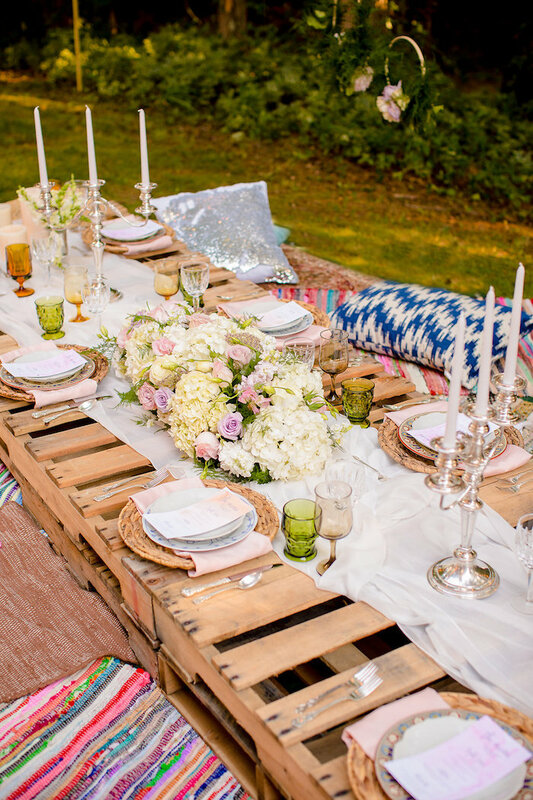 The low seated table is created out of stacked wooden pallets and sheer flowing fabric was cascaded down the center. 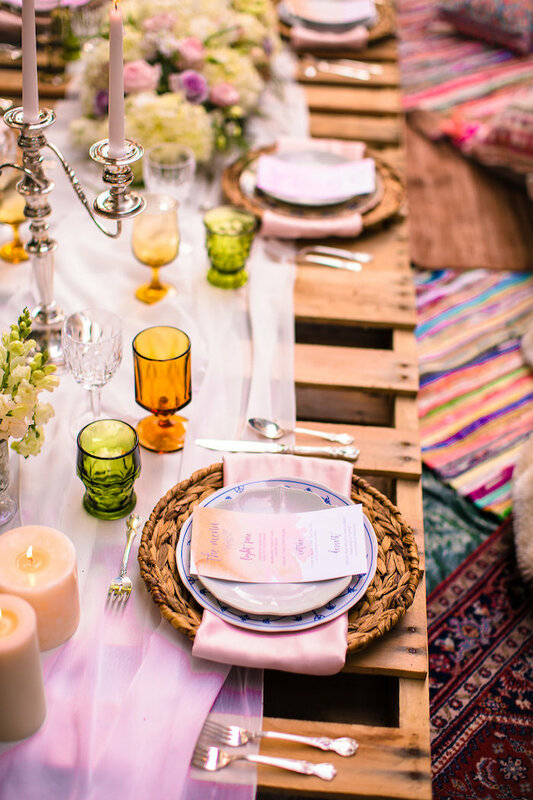 Creating an atmosphere of relaxed refinement for the dinner guests. 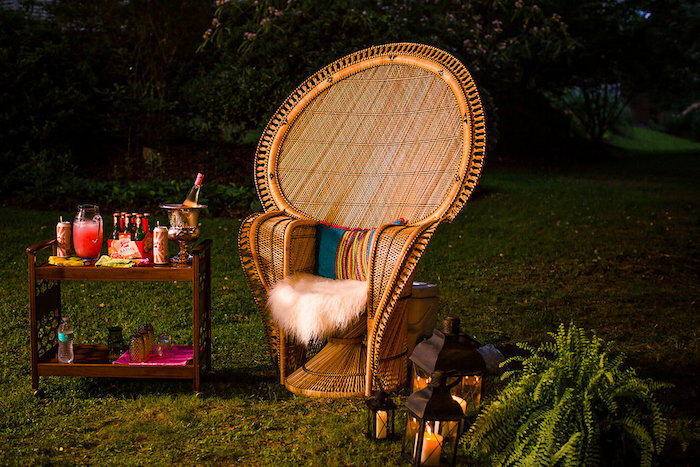 Macrame & Peacock Chair | The Bohemery Co.
More special soiree’s coming right up!